The Michael Chekhov Institute (MICHA) is a non-profit organization dedicated to the artistic vision and style of Michael Chekhov. He is a powerful figure in the fields of acting, producing, and directing for both theater and film. 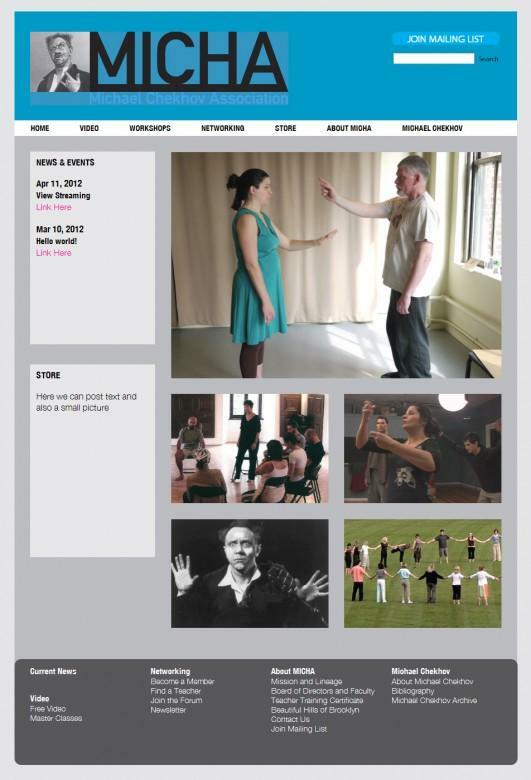 The website developed by Medium Well helps increase awareness of the group’s workshops along with Chekhov’s large, impressive body of work. Designed by David Schultz, the site includes functionality for registering for classes and e-commerce for buying books and media. Medium Well developed the WordPress website using a custom theme, pay per view streaming, e-commerce, qQuery, HTML, CSS, PHP, and Mysql.